Reproduction usually involves routing very small particles—sperm, eggs, and spores—away from the site where they were created. Diverse solutions to the basic transport problem have evolved, such as sticky pollen that is picked up by insects, and moss gametes that are readily carried by water. The methods of transport that most intrigue me are ballistic: the catapulting of spores by ferns and the cannonlike firing of fungal spores. An object launched ballistically is accelerated to an initial velocity, and then drag acts to slow it, causing it to fall more steeply than it climbs. For heavy flying objects the effect of drag is minimal. But for small, lightweight ones, drag is hard to overcome. Roger Clemens has no problems pitching a baseball, but even his rocket arm could not get a dried pea from the mound to home plate. Similarly, it takes tremendous muzzle velocity to shoot a spore—a speck just one-tenth the width of the periods on this page—the length of your thumbnail. The biomechanical mechanism that has evolved to do so resembles a catapult. 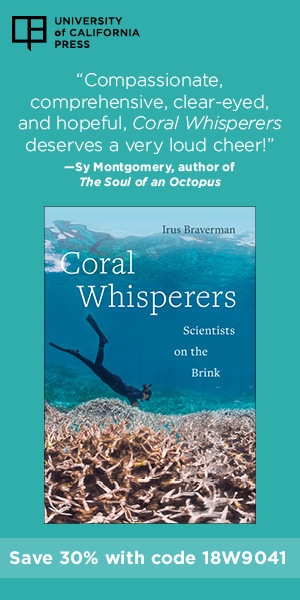 Robbin Moran, the fern boffin at the New York Botanical Garden, knows the details of spore shooting, as well as some intriguing properties of water, the agent that both loads the catapult and triggers the launch. A parental fern grows, protects, and ultimately ejects its spores from a stalked structure: the sporangium. To visualize its ballistic mechanism, imagine holding a small pile of peas in the palm of your hand and gently closing your fist. Further imagine that a thin, steel spring has been rigged along the inside surface of your bent middle finger. If some force were to pry open your fist, allowing the peas to roll to your fingertips, the force would stretch and load the piece of spring. Removing the force suddenly would cause your fingers to snap shut, flinging peas everywhere. The fern equivalent of the spring and middle finger is the annulus, a row of cells that bisects the sporangium like a sturdy spine. The annulus has heavily reinforced inner walls and thin outer walls that are permeable to water. As the sporangium dries, evaporating water is drawn out from the cells of the annulus, causing the cells to shrink. The thick, inner cell walls don't collapse, but the outer walls start to buckle. The process causes the curved surface of the annulus to shorten, thereby prying the sporangium open. 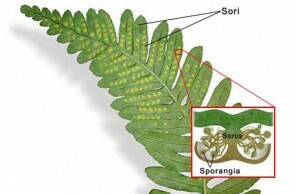 Sporangium encases the spores of a fern (a). Water evaporates through the thin cell walls of the annulus cells (along the spine of the structure), shortening one side of the sporangium's arm and ratcheting it back into a primed position (b,c). Because the thick inner walls of the annulus cells resist collapse, the water pressure inside the cells drops and bubbles form in the liquid. The bubbles pop the cell walls outward, thereby restoring the arm to its original form and launching the spores (d,e). Now the spores are exposed, but they still cling to the surface of the primed sporangium. The column of water trapped in the annulus's cells is under progressively greater tension as water evaporates through the thin outer cell walls. But the thick inner walls continue to resist collapse, and so the water pressure inside the cell drops. When the pressure drops below a certain threshold, dissolved air or water vapor form a gas bubble in the liquid. The formation of such a bubble is called cavitation. When one such bubble forms, it disturbs its neighboring cells enough to set off a chain reaction of bubble formation along the annulus. The fat air bubbles in the cells make the cell walls snap back into their pre-evaporation positions, firing spores in all directions. That is a pretty slick solution to the problem of accelerating a small object quickly, but certain fungi have the fern catapult outgunned. Frances Trail and Iffa Gaffoor, both biomechanists at Michigan State University in East Lansing, teamed up with the biomechanist Steven Vogel of Duke University in Durham, North Carolina, to show how one fungus uses water in a different way to fire its spores. By their measurements, the fungus shoots with the highest relative velocity and greatest acceleration of any known biological entity. Fruiting body, or perithecium, of the Gibberella zeae fungus houses hundreds of asci, each containing eight spores. The asci pump themselves full of water by osmosis, eventually building up enough pressure to shoot spores out through their small openings and into the air. Gibberella zeae, the new powerhouse spore launcher, is a fungal pathogen of wheat. Its spores are spindle-shaped and small enough that five of them would fit end to end across the cut tip of a human hair. Eight spores are packed into a pod-shaped, fluid-filled capsule called an ascus, and hundreds of asci are, in turn, crammed into a pimplelike organ called a perithecium [see illustration right]. 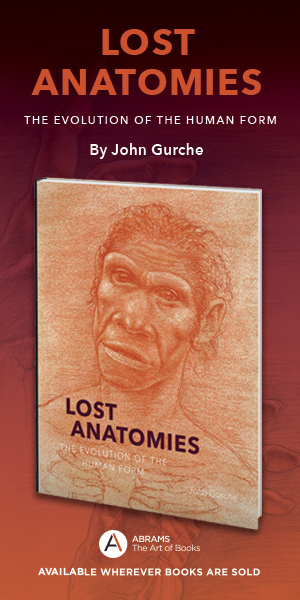 To begin the firing process, each ascus produces a high internal concentration of mannitol, a slightly sweet alcohol. The mannitol draws water by osmosis out of the surrounding tissue and into the ascus, causing it to swell. As it swells, the ascus elongates, so that it points toward the small central opening in the perithecium. The “skin” of the ascus is now taut enough that a further influx of water will raise the internal pressure. And pressure is just what is needed to fire the spores from a pinprick-size pore in the ascus. But the ascus has a further osmotic trick to raise the pressure much higher: it pumps potassium and chloride ions from the outside to the inside, and the ions draw in yet more water. The pressure in the ascus rises as high as five atmospheres. Suddenly, the tip of the ascus bursts. Spores and fluid spurt into the air over a distance of . . . less than a quarter inch. 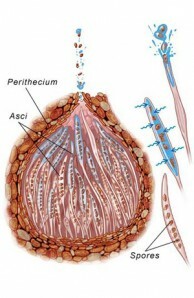 The spent ascus retreats back down inside the perithecium and a newly bloated ascus comes up. A quarter inch may not seem very far, but it is more than enough to launch the lightweight spores into air currents that can carry them to a new home. The force on the spores initially accelerates them at an astonishing 870,000 times the acceleration of gravity. They reach speeds of eighty miles an hour, or nearly 2 million spore lengths per second. The instant the spores are fired, however, they hit the air as if it were made of concrete. A spore leaving the perithecium travels nearly straight up at first. Then, its forward momentum spent, it drops nearly straight down. And the smaller the spores, the less their flight paths look like a parabola, and the more they resemble the path of a marble falling off a table. Despite the temptations of superacceleration, though, it seems unlikely that the Department of Defense will go scurrying any time soon for ways to scale-up a spore launcher into a working gun.